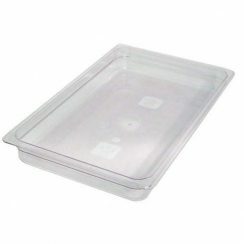 With the Cambro half x 6 inch clear food pan store, transport and serve all in one pan. Virtually unbreakable polycarbonate will not crack, bend or dent. Withstands temperatures from -40°F – 210°F (-40°C – 99°C). Nonstick smooth interior surface increases yields and promotes easy cleaning. 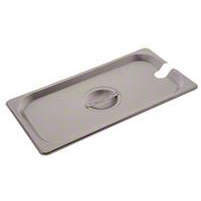 Uniform 1/2″ flange ensures the right fit in prep tables and food bars. 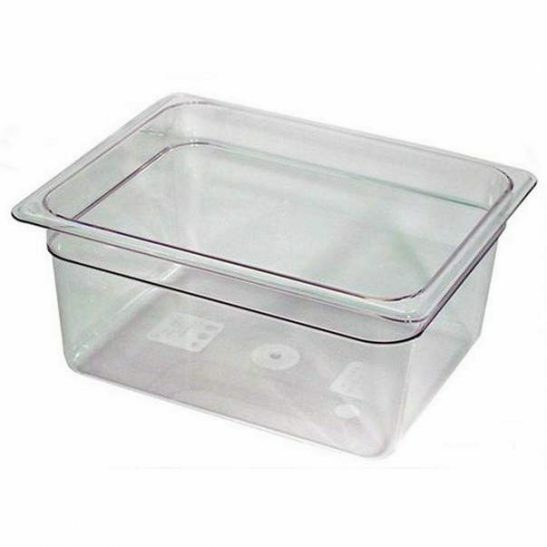 Ensure efficiency while increasing food safety in your establishment with this Cambro half x 6 inch clear food pan! 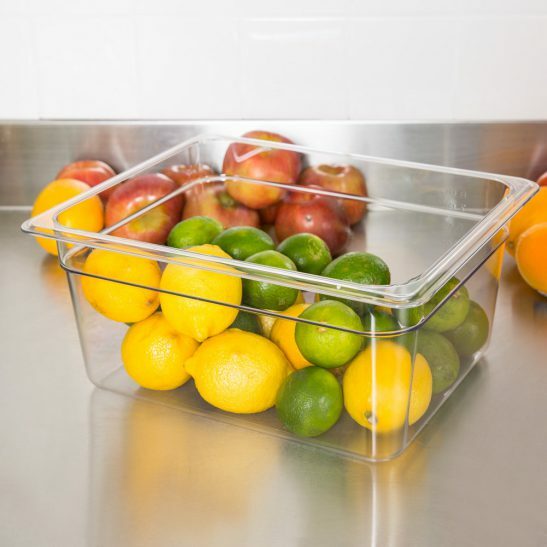 Built to withstand temperatures from -40 to 210 degrees Fahrenheit, and made of virtually unbreakable polycarbonate, this food pan is designed to last even in the toughest commercial kitchens. This pan won’t crack, bend, or dent. Use it to store, transport, and serve all from the same pan. The clear complexion offers an easy to see option, while molded in graduations in standard and metric measurements promote easy inventory management. 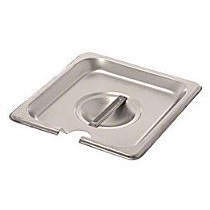 A uniform 1/2″ flange on this pan ensures a smooth fit in prep tables and food bars while a textured bottom resists scratching under everyday conditions. Inside the pan, a nonstick, smooth interior surface promotes easy cleaning while increasing yields, and a large radius bottom limits food waste. This pan won’t react to food, minimizing the risk of a potentially hazardous chemical or acidic reaction. 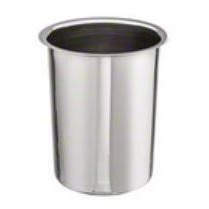 Plus, tests prove that food pans keep product as cold as stainless steel pans, with less condensation. 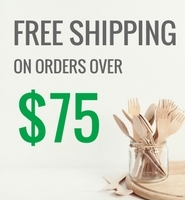 This means your fresh produce stays fresher, longer, saving you money in the long run! When not in use, this pan stacks neatly without wedging or sticking to other pans.